It's hard to believe my baby is going to middle school this year. 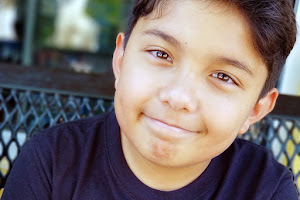 When Anthony first started Kindergarten, I had just been diagnosed with Budd Chiari Syndrome and to say money was more than tight. His school had just been built and we knew that it would be starting from scratch as far as school funds went. Here was our problem. We wanted to help make his school great. I had these dreams of being the class mom and a PTA parent. 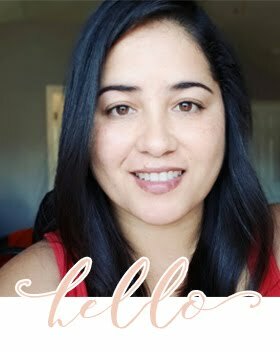 But with medical bills rising and my health failing, I wondered if there was any way I could contribute if I couldn't give my time or my money. Turns out there was. The Box Tops for Education Program. 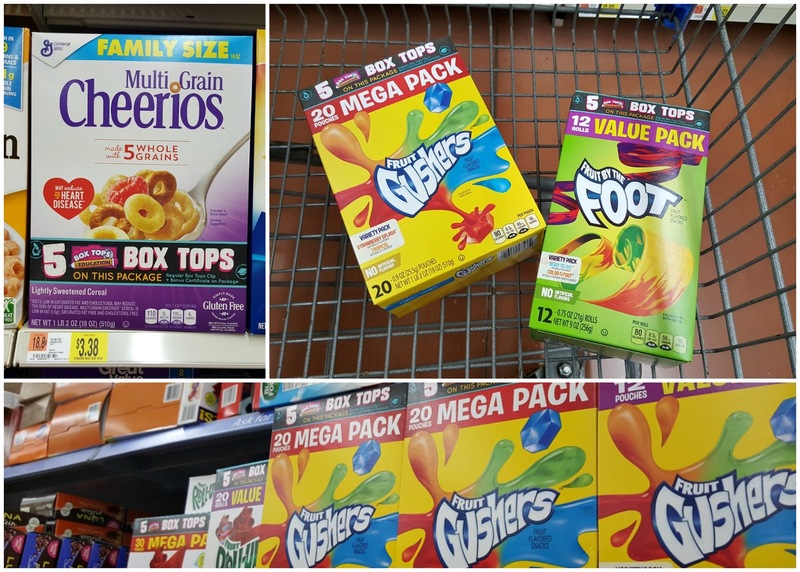 Right now at Walmart, you can find quite a few General Mills products with not 1 but 5 box tops per box. 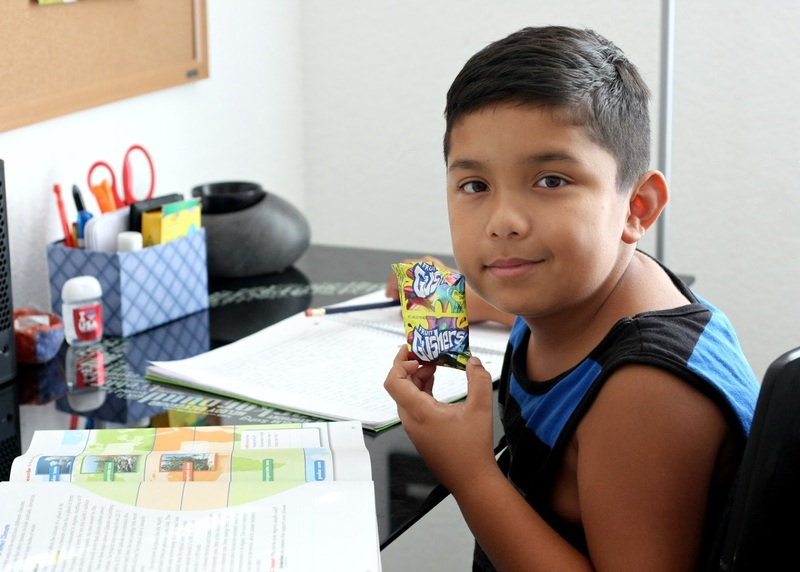 That is $.50 per box that you can give back to your child's school. The boys already have a list of things to buy during our next trip. Wondering if your favorite General Mills Product made the list? 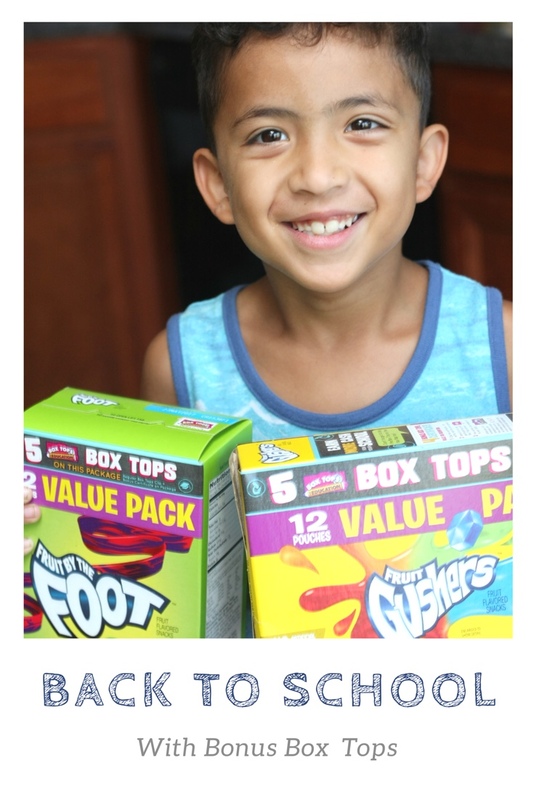 You can find a full list of products offering the bonus box tops on on the Walmart Website. The first few weeks back to school are always the hardest. Everyone has to get adjusted to their new schedules. It's hard to get life back on track after a few months of sleeping in and spending the days at the pool. Here are a few things we do to get ready for the new school year. Yes, tax free week is always nice, but I'd much rather pay the tax and skip the crowds. Fighting for the last box of pencil erasers is not on my to do list. Not this year anyways. Kidding. But seriously, you don't need the stress of having to go to 4 different stores, the night before school starts because everyone is out of composition notebooks and filler paper. Donate all the clothes that don't fit anymore. And the toys that they don't play with. Now there is room for some new clothes. Don't forget to buy extra socks and underwear. Nothing is more frustrating than having a kid that can't find any socks... as you are walking out the door and you are already running late. Anthony has a desk in his room where he does his work. Alex does his work at the dining table while I get dinner started. This way I can help him out if he needs me. We use a little caddy to keep all his homework supplies together that he can pull out and put away very easily. 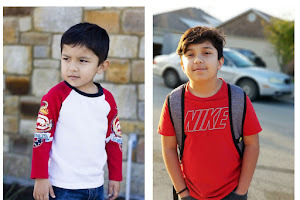 A few weeks before school starts, we start getting back into our school routine. We cut back on screen time and get to bed earlier. I also go back to weekly chores lists. One thing that makes all the difference for me is Meal Planning. I plan a week in advance and get all my shopping done on the weekend. Life just runs easier when we know what needs to happen that day. There is a fridge rule in this house. If its in the snack drawer, have at it. If it's not, don't touch. I can't tell you how many times I would go to make dinner and half of my ingredients were gone! So, the snack drawer was born. And in the pantry, there is a snack basket. Everything else is off limits unless they ask first. I think what I love most about the Box Tops program is that it makes helping your child's school so simple. You can find box tops on so many things that you would already buy, so you aren't going out of your way and spend extra. 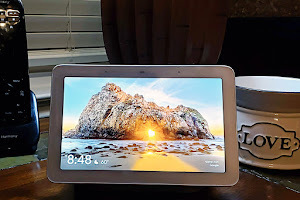 There are going to be many school functions that I am to sick to help out with but this way, I am able to help from home. Three weeks and counting, till the new school year begins. It will be the first year that the boys are not in the same school. The first year of middle school for the Anthony. And the first year Alex is excited starting the new year. As for me, Ill just be here at home. Clipping away! 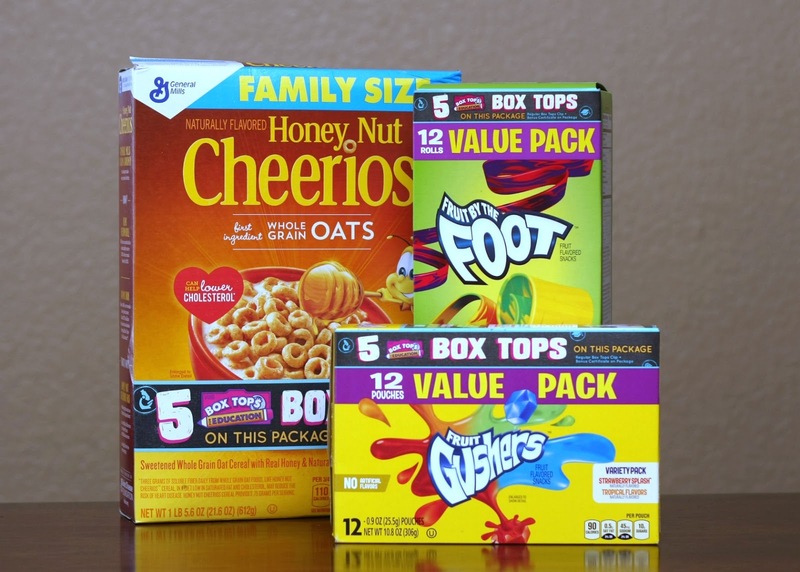 Do you cut Box Tops for your child's school? If, not, you should. It really is as easy as buy, clip, send and earn!